With the recent talk of Manny Pacquiao vs Floyd Mayweather seemingly fizzling out, it looks like the Filipino legend is moving on to a different fight. 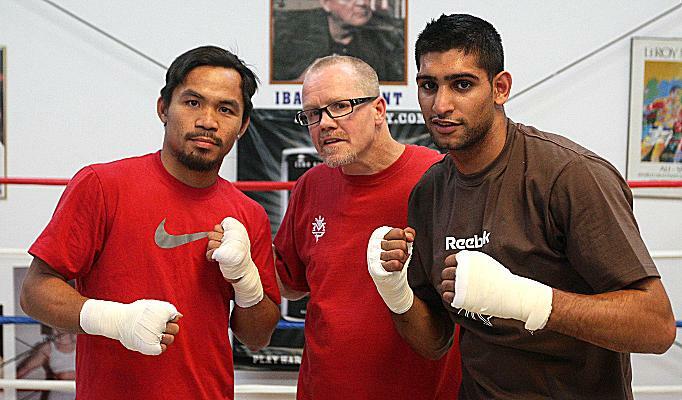 Indeed, we may be looking at a potential Manny Pacquiao vs Amir Khan showdown in the near future. Both Freddie Roach trained fighters, and both very quick, this could be a great fight. “Just in case Floyd doesn’t come through we regard Amir as the best possible alternative. So even if the fight with Mayweather never materialises, at least we won’t have to see “Pac Man” fight any more bums. What do you think, Manny Pacquiao vs Amir Khan?